Experimenting with dehydrated vegetables. My first meal utilizing some recently dehydrated onions and sweet potato. I will be adding more as time progresses. Logic behind the experiment is that dehydrated v3getables have most of fresh nutrients. I aim to give the theory a test on my sample of one-me. The small meal as pictured was most satisfying. 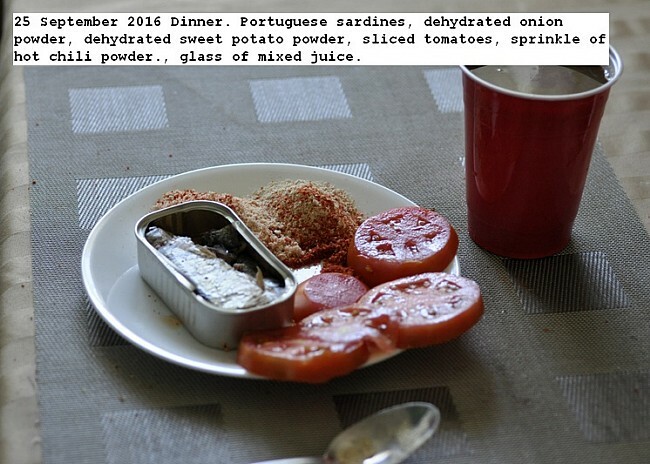 This entry was posted in Uncategorized and tagged Dinner (Dehydrated vegetables), September 2016 Dinner (Dehydrated vegetables). Bookmark the permalink.